At my toddler’s persistent request for the music channel, I aimed the remote at the TV and clicked the power button. Yet there, on the big screen television in the living room, the music didn’t play. Instead, it looked more like a movie. But it was my hometown. 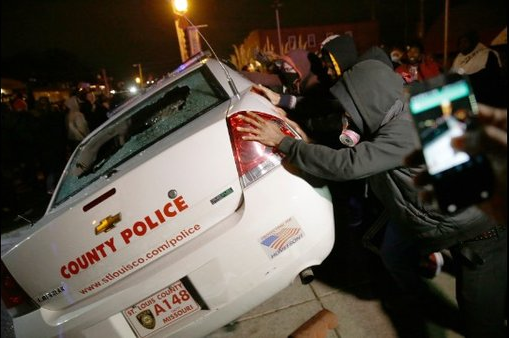 There were mobs of people smashing car windows and rocking a police cruiser on its wheels. 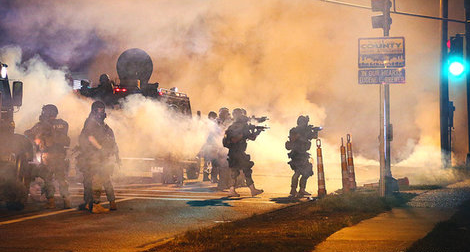 Men, armed with guns and head-to-toe bullet-proof everything, marched through a thick fog of tear gas. 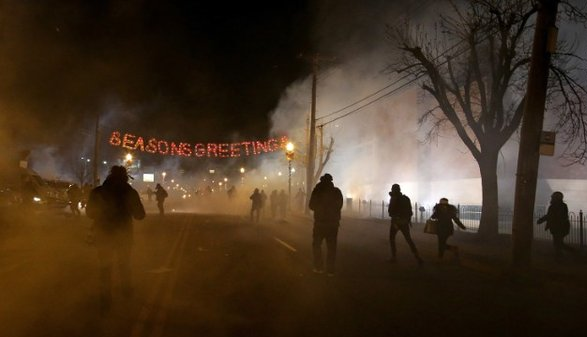 Above them, red lights eerily flashed “Season’s Greetings” through the haze. The night sky was illuminated by fires that ate buildings brick-by-brick until their angry appetite had been satisfied. 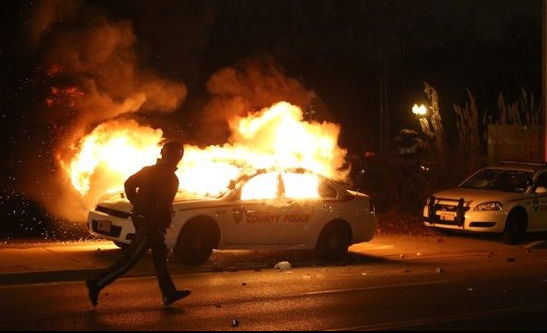 Beauty shops and businesses marked with sympathy for Michael Brown had been crushed beneath stampedes of angry feet. So many people’s hard-earned hopes had been squandered overnight by hatred and hurt in others’ hearts. My heart broke for them. For all of them. 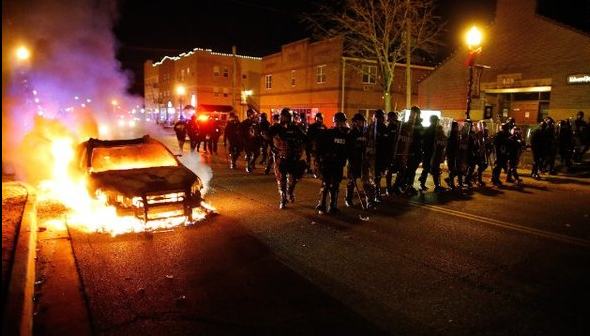 I hurt for the mobs so driven by outrage that they would storm their own city and smash it to pieces. I hurt for the people whose lives had been shattered like the glass in their small business windows. I hurt for the authorities who had to discern danger from peace in the heat of a misty moment. I wanted to do something. To change the way things were. But how? We are doing good. I just wish I could do something to help the community, but I don’t know how. For some reason, from the time I was a young girl, I’ve had this unquenchable thirst to change the world. So it never ceases to surprise me when my efforts fall short and I crash land flat on my face. Because of that, I’ve discovered something: It’s not my job to change the world. And it’s not yours either. Fortunately for all of us, that ridiculously impossible task has already been taken care of. It was the fate of one man – and one man only – to change the world. To overcome it. And, unlike the rest of us, He actually succeeded. This doesn’t give us the ability to simply sit back and watch our world burn to the ground city by outraged city. However, it does give us an ally. And it allows us – if we so choose – to send in someone who may not have been called onto the battlefield yet. 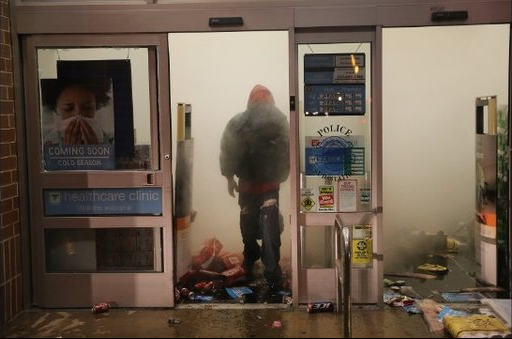 Someone who isn’t afraid to walk into the madness and chaos of Ferguson, and He doesn’t even need to wear protective gear to go there. Someone who is more powerful than all the tanks heavy artillery in that town. Someone who can walk into the flames and overpower them in people’s burning hearts because He Himself is an all-consuming fire. 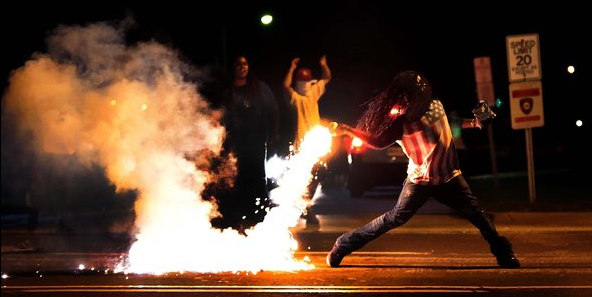 So together, let’s set Ferguson ablaze. Together let’s pray – not with bitterness or side-taking – but with genuine love and concern. Let’s pray for the souls that have been lost in that town, the hearts that continue beating there, and the protective force that’s trying to keep it that way.